Celebrating their stellar fifth album ATW, beloved local rockers All Them Witches are helping wind down the year with not one, but two nights of shows at Exit/In. Though not New Year’s Eve happenings, the Dec. 28 & 29 outings are a solid way to spend the last weekend of 2018, and with support from New Madrid on night one, and Michael Parks Jr. and Oginalii on night two, whether you choose either show or both, you’re guaranteed an unbelievable night of tunes. Tickets for both shows are still available here (12/28) and here (12/29) while they last, but we’re excited to announce that we’re also giving away a pair of tickets to both shows! Read on for more about the performers, and enter for a chance to win below. Mixing influences of psychedelic rock, heavy metal, and swampy blues, All Them Witches are one of the most diverse and dynamic rock bands to emerge from Nashville’s local scene in recent years. The trio have gained a reputation for their thrilling live show, mostly built on their musical chemistry and ability to jam rather than solely relying on structured songs. They got their start in 2012 with their debut album Our Mother Electricity, but really gained momentum the following year with Lightning at the Door, which showcased their Southern Gothic style of songwriting perfectly paired with rowdy guitars, attracting the attention of buzzy label New West Records, who re-released the LP as well as the band’s conceptual third effort, Dying Surfer Meets His Maker, in 2015. Recent years have only seen the group’s reach grow more exponentially, and as tours and festival outings get bigger and more visible, the band have crafted their best work yet this year and last, with 2017 fourth album Sleeping Through the War and most recent LP ATW, their first as a trio. One of Nashville’s most exciting musical success stories, you really have to see All Them Witches live to fully experience their sound, and with lots of new tunes in tow, there’s never been a better time! Athens, Ga. based New Madrid have cemented a dedicated following with their no-holds-barred brand of fuzzy and unfiltered rock and roll. In 2012, they released their debut LP Yardboat, which earned huge acclaim both online and in their hometown. Since then, their throwback-inspired sound has evolved into its own psychedelic machine. Their latest album, magnetkingmagnetqueen, channels their influences like Yo La Tengo while staying true to the sound that earned them acclaim so quickly. Experience their killer live show for yourself and see why the group so often share the stage with All Them Witches. Best known as All Them Witches’ bassist, vocalist, and multi-instrumentalist, we haven’t really known talented local rocker Michael Parks Jr. as a solo artist, but are nonetheless eager to see what he has in store with an apparent opening set for the second night show. We can’t find any tracks floating around, so if you’re curious, make a point to get there early! Oginalii is a local group with a psych-tinged, dense, genre-bending sound that’s impossible to pin down. One minute they’re psychedelically lulling you into a druggy head-bob, and the next they’re ripping sludge rock, making you want to throw a beer can and light a cigarette in a dimly lit basement. Formed in 2013 and led by creative force Emma Hoeflinger, the group are a phenomenal live act and always a stellar opener, so don’t be late! Enter to win tickets by filling out the form below. You may enter for either or both nights, but tickets are awarded for their corresponding show date only, and may not be swapped or transferred. Must be 18+ to attend. If you experience any trouble with the contest widget, or have any questions, feel free to email us at [email protected]. Winner will be announced Thursday, Dec. 27 at 10 a.m. CST, and will receive one pair of tickets. Good luck! 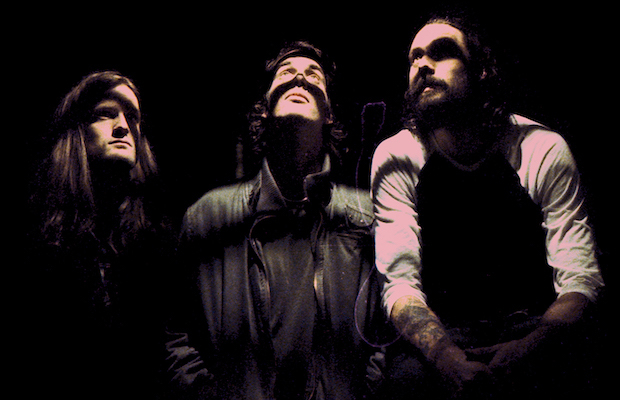 Win Tix to All Them Witches 12/28 at Exit/In! Win Tix to All Them Witches 12/29 at Exit/In! All Them Witches will perform Friday, Dec. 28 with New Madrid and Saturday, Dec. 29 with Michael Parks Jr. and Oginalii at Exit/In. The shows are 18+, both begin at 9 p.m. (doors at 8 p.m.), and tickets are available to purchase for $16-20 here (12/28) and here (12/29).